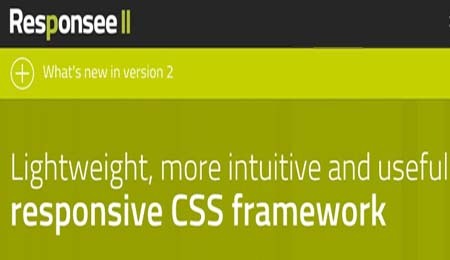 Responsee is an open source responsive CSS framework based on 12-column grid. Websites based on Responsee are fully responsive. Responsee is based on 12-column grid. For work with columns it uses classes “s-1” up to “s-12”, and “l-1” up to “l-12”. By means of those classes Responsee divides website for particular columns (“s” – display on small-size screen, “l” – display on large-size screen). Responsee uses for work with content several classes with specific properties.